Dance all night in Sherri Hill 52779. This elegant satin mermaid gown has a V-neckline, and spaghetti straps that lace-up over an open back. The sleek satin mermaid skirt drapes into an elegant train. 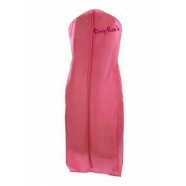 Make new memories in this satin gown at a wedding, prom, or charity ball.